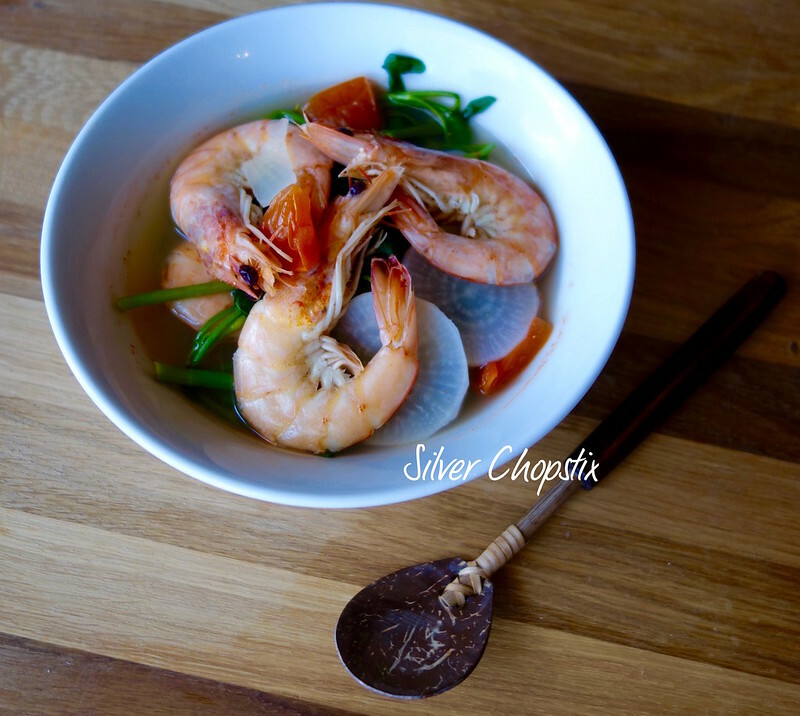 This is another version of Sinigang which I have made before. The previous being Salmon, milkfish or tilapia. You may wonder why so many varieties. 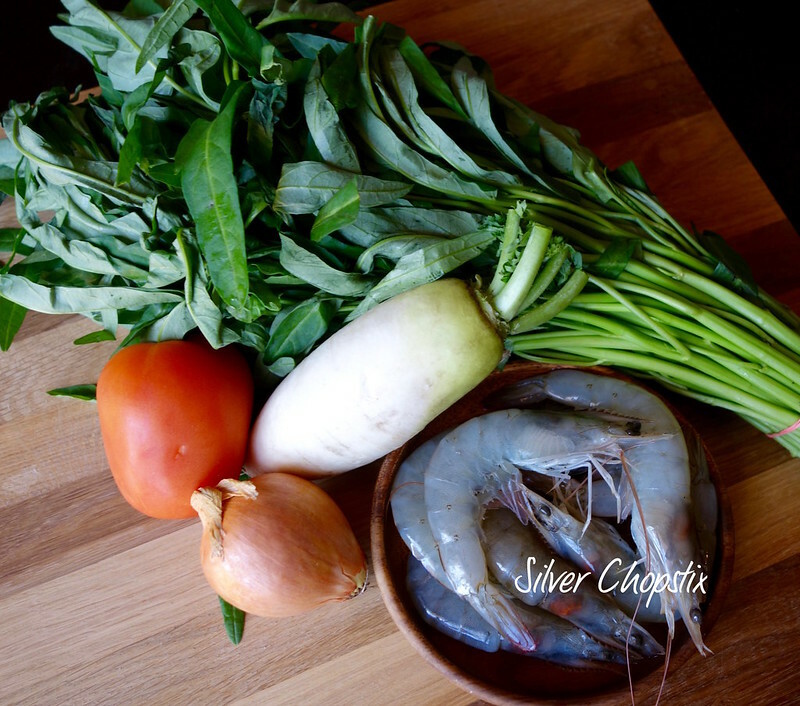 Sinigang is one of the most well loved dish of the Philippines and is a staple in most dinner table. Some families usually serve this at least once a week. As I have mentioned meat such as beef, pork and chicken may also be used aside from seafood. To make, place 5 cups of water in a pan together with 1 medium onion and 2 roma tomatoes chopped. Let this come to boil. Then add 1 packet of tamarind mix and stir. Add 1 lb shrimp (I think I got what you call white shrimp) and your sliced Asian radish if using. I added the radish together with my seafood since shrimps cooks pretty fast. Cover and let it cook for a few minutes. You will know when it’s done when the shrimp turns pink. You don’t want to overcook it since it will turn tough and gummy. 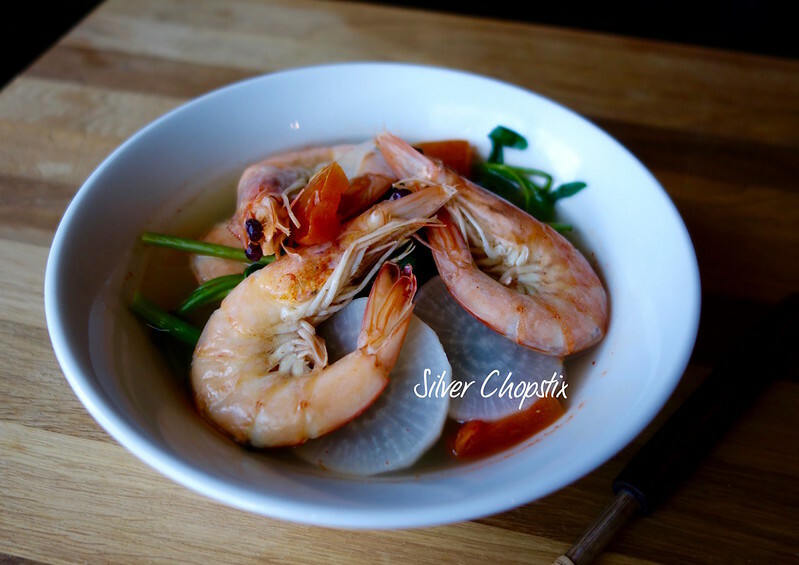 Once the shrimps are done you may add your kang-kong which is Tagalog for water spinach or onchoy. Cover and when it comes to a boil again, turn off heat. 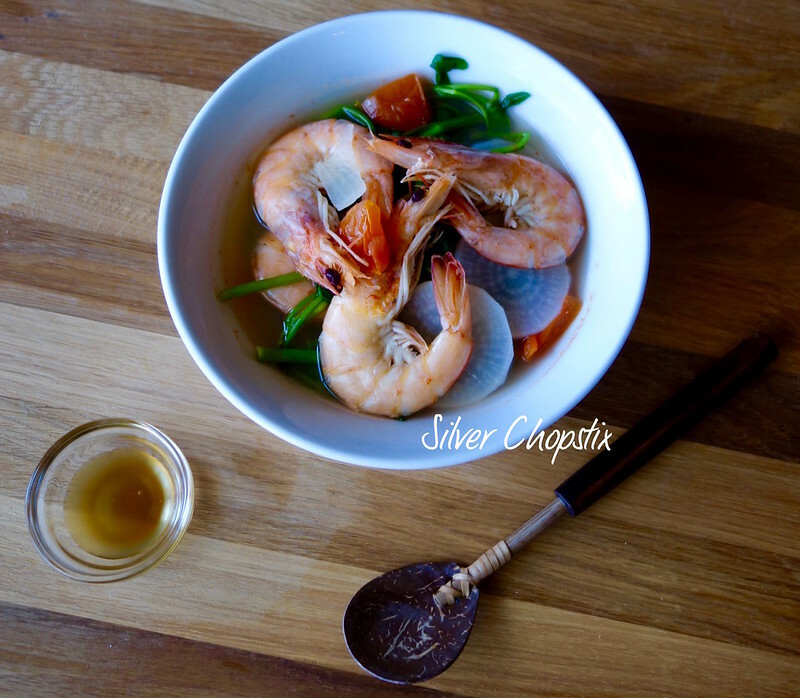 Serve with white rice and fish sauce for dipping.